[New for 2014, discontinued] Now Wells sent over this next sample for free, but to be honest, I would be hard pressed to walk by this one without trying it. 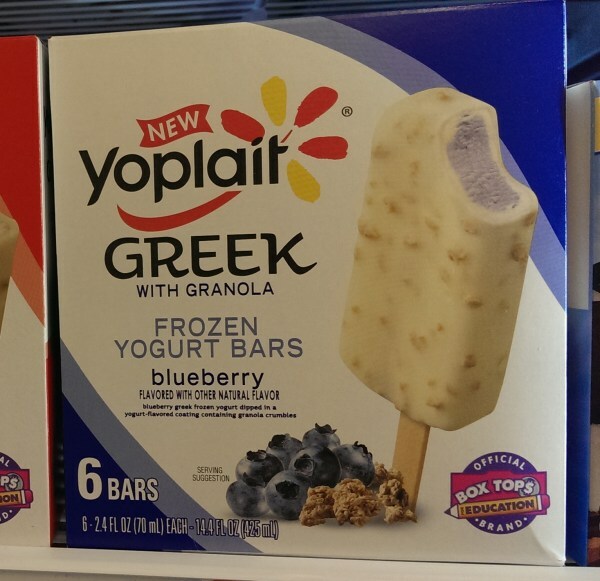 It reminds me too much of the old Blue Bunny Aspen froyo bars from a half decade ago. Keep in mind there is also a blueberry variety, but blueberry flavors rarely work for me. Whoa! Now that's what I call truth in advertising! It's almost identical to the package in looks and size! Too funny! Whoa! Apparently I looked at the box too quickly because it's not a thick shell! It's actually a really thin shell. Bummer. I like the granola though. It's solid but not crunchy which is the way I like my granola. I definitely prefer granola to those silly super dry cocoa nib bits in the new magnum bars. Yeah, it's fun, I like it. I don't fully understand it, but I like it. 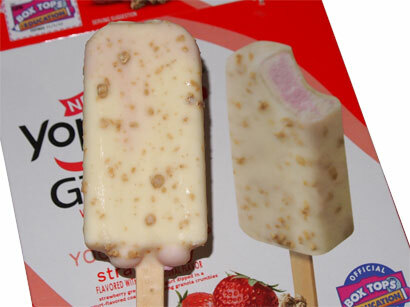 I expected a thick shell with raspberry filling but instead we have this plain white froyo tarting things up a bit. I think more strawberry flavor would have made it feel like more of a treat.... but I still like the diversity here. I mean, what else would be even close to this that's available right now? Nothing. Ok, I'm pretty excited about the second scooping. I think I might let it sit out for a few minutes as the texture was a bit more solid than I would have liked. On Second Scoop: Bar #2 has been consumed. While this really isn't my kind of treat, I definitely see a fair number of people being really happy with this one. It's got just enough tart pop when you eat it to perk you up and I can't help but think people will dig that. 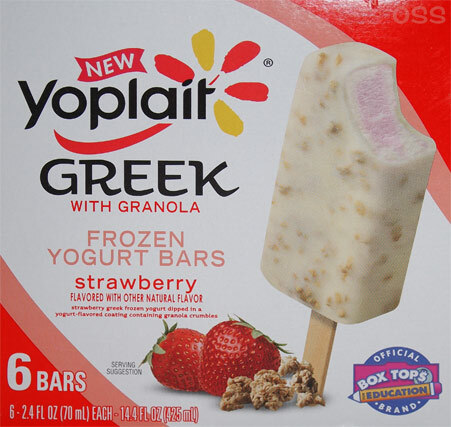 For me personally, if the texture was a bit smoother, and the filling was 100% strawberry, or if the shell had been thicker, I'm pretty sure I would have bought another box. OMG! These bars are so good. Where can I find more. I have looked for them and can't find them. Anyone know where to get more? To everyone: not sure what happened, but these disappeared as quickly as they appeared. They are no longer on the company website and I can't remember the last time I saw them in a grocery store. We bought them by cases for weight control at Heres To Your Health and now not available. People were doing so good on them for months! Disappointed about 120 people. 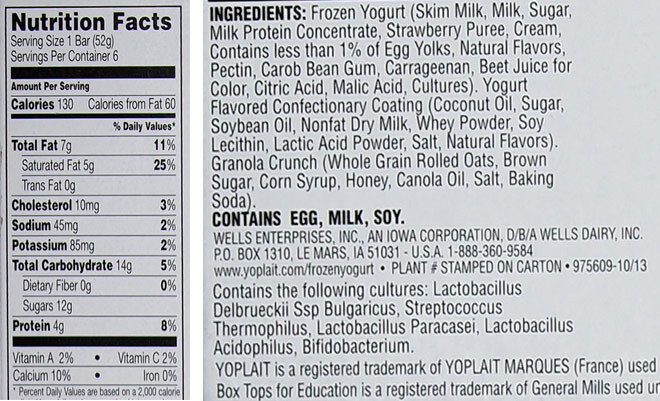 We checked and Wells enterprise made them for Yoplait ....Try contacting them and tellng them you want them. 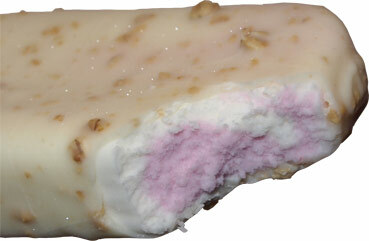 We LOVED them and can't believe you would discontinue the very best frozen yogurt bars with granola ever made! We are heart broken, crushed, saddened!!!! You've broken our heart of our family!!!!!!!! !